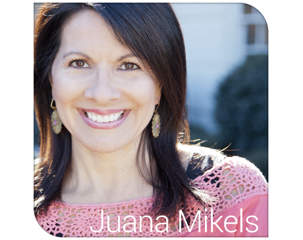 JuanaMikels.com: Book News! My First Book is On the Way & Wednesday's Prayer Girls & LinkUp Party! Book News! 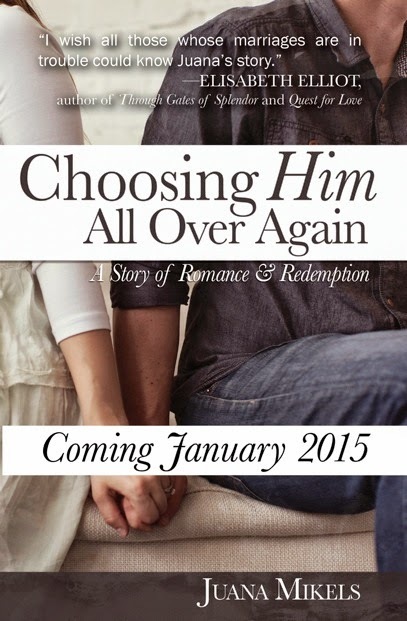 My First Book is On the Way & Wednesday's Prayer Girls & LinkUp Party! She has everything that is supposed to make a young woman happy: handsome husband, dream job, new home, great vacations, fun friends, and plenty of money. But she isn't happy. I hope you like the cover my publisher, Ambassador International, has created. I just love it! 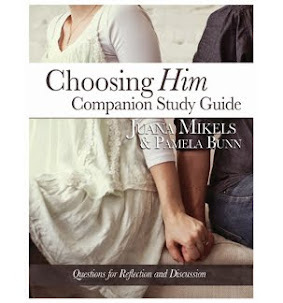 There is also a free downloadable Choosing Him Companion Study Guide, written by Pamela Bunn and me, that corresponds with the first fifteen chapters of the book, and the link for the free guide is in the book. 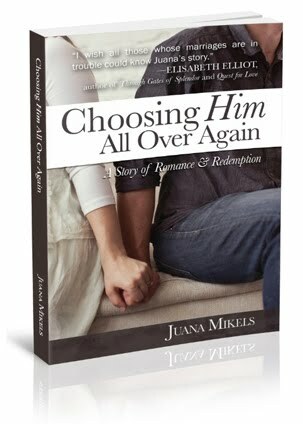 Email my publisher at sales@emeraldhouse.com and tell them you want the book, Choosing Him All Over Again, by Juana Mikels. Order from your local bookstore (The book will be in their systems before Thanksgiving, probably mid-November). Live near me? Come to one of my book signings that I will be posting soon here, and on my social media (see my social media buttons below). Psst... if you live near me, a sweet neighbor is hosting one on December 1 if you live in my neck of the woods! 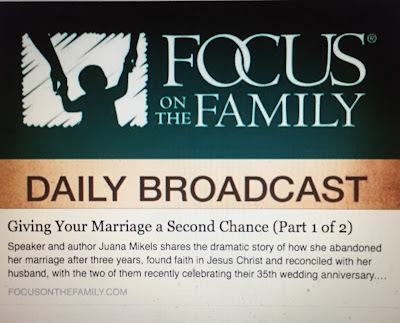 (email me at juana(at)juanamikels(dot)com and I can make sure you get an invitation. I also have something else locally in the works that I will tell you about soon! If you're a blogger, let me know if you would like to do a post on the book. I'd love you to, and can get you the photo, and my publicist at Ambassador may be able to send you the book (or the PDF)! You may contact me at juana(at)juanamikels(dot)com or media(at)emeraldhouse.com. Please pray for the creative designer at my publisher (Hannah) as she completes the book for production to roll off the presses next month. What can I pray for you or your loved ones? Father God, You are worthy of ALL the Glory, ALL the Honor and ALL the Praise! This book is going to bless so many people. Please be with Hannah as the book is completed for production. Thank You! LOVE, LOVE, LOVE the cover! And cannot wait to read it and I most certainly want one! I also secretly, maybe not so secretly, hope you come near Birmingham for a signing! We got to keep Libby last night! It was out of the blue but we loved every minute. And she is 4 months old today! So far she is doing exactly what a 4 month old should do, no delays. Even rolling over! Praise You Father! Oh Jana, I'm so glad you like the cover! I hope we can meet one day, and just maybe at a signing! Oh, Praise God that you got to keep Libby! What a fast answer to prayer! How wonderful that she is progressing so well!! Thank you, Lord Jesus! Thank you for praying last week for the choral meeting at DD. Normally about 8 attend, but 27 attended!! Thank YOU, Jana for praying. Nothing is insignifcant to our Great God when we offer it to Him! Congrats! Juana, I would consider featuring your book on my blog, just e-mail me if you are interested. May God bless you as this book releases! Prayer not only for my continued growth in 'give thanks in all circumstances' but also that I am able to encourage others going through fertility and babyloss though my blog. Hello Farin, let's pray for your writing. Heavenly Father, we praise and thank you for Farin's perspective that is Your perspective Lord as You tell us in Your Word to give thanks in all circumstances. We pray that your perfect will be done as Farin writes to encourage other moms that are going through fertility issues and the loss of a baby. In Jesus' name, Amen. Love your book cover. Excited for you!